The 9th EU-Republic of Korea Summit took place on 19 October in Brussels. The Republic of Korea was represented by its President, Moon Jae-in. The 9th EU-Republic of Korea Summit took place on 19 October in Brussels. It marked the 55th anniversary of diplomatic relations between the EU and the Republic of Korea and set the stage for a further strengthening of bilateral ties. Jean-Claude Juncker, President of the European Commission and Donald Tusk, President of the European Council, represented the European Union at the Summit. 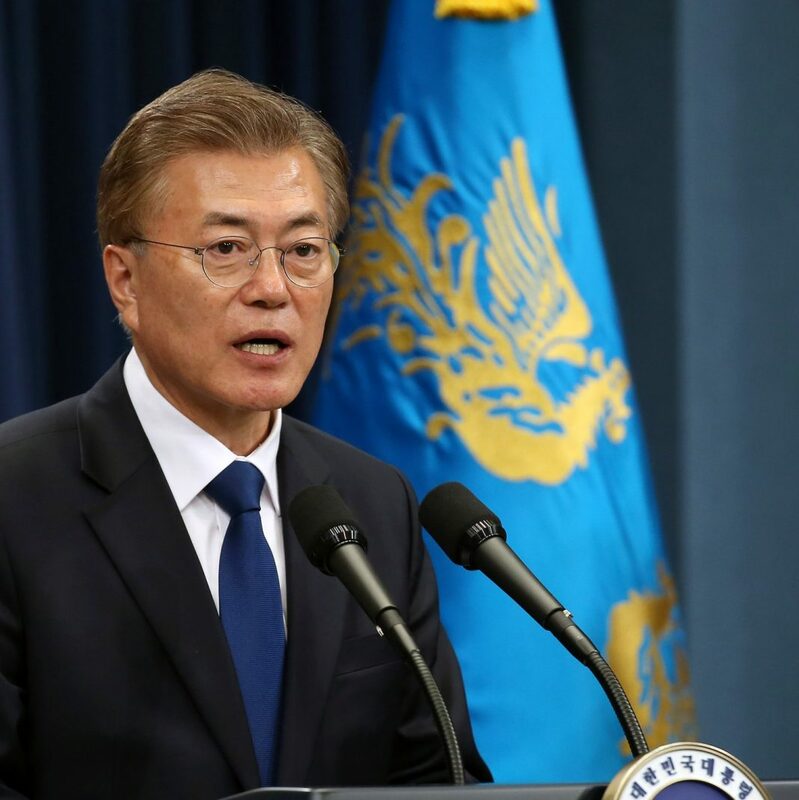 The Republic of Korea was represented by its President, Moon Jae-in. The EU High Representative for Foreign Affairs and Security Policy/Vice-President of the European Commission, Federica Mogherini and EU Trade Commissioner Cecilia Malmström also participated, alongside several Ministers from the Republic of Korea. Presidents Juncker, Tusk and Moon committed to further develop the EU-Republic of Korea Strategic Partnership, which is underpinned by three concrete pillars: an enhanced Partnership and Cooperation Agreement; an ambitious Free Trade Agreement; and a Framework Participation Agreement for EU crisis management operations. The Summit provided an opportunity to explore further areas for cooperation within the Strategic Partnership. The EU and Korea are united by common values of democracy, human rights and the rule of law. The Leaders reaffirmed their strong commitment to multilateralism and the international rules-based order, politically and economically, while also supporting global action on climate change and the environment. The EU and Korea will continue promoting free, fair and rules-based trade, modernising the WTO-based multilateral trading system, and maintaining international cooperation against protectionism. The Leaders discussed a number of pressing issues on the global agenda, chief among them prospects for achieving lasting peace and security on a Korean Peninsula free of nuclear weapons and finding a comprehensive solution through diplomacy, while fully implementing the relevant UNSC Resolutions. The EU supports the Republic of Korea’s efforts and diplomatic initiatives, in particular the three inter-Korean Summits and the US-DPRK Summit, and the implementation of their outcomes. The EU sees the development of inter-Korean relations, the denuclearisation of, and the establishment of a peace regime on the Korean Peninsula as vital for peace and security not only in East Asia, but for the entire world. In this context, the EU stressed the requirement for the Democratic People’s Republic of Korea (DPRK) to completely, verifiably and irreversibly dismantle all its nuclear and other weapons of mass destruction, ballistic missiles and related programmes and facilities.